Kiss Me Quick | Art Good, Hitler Bad. 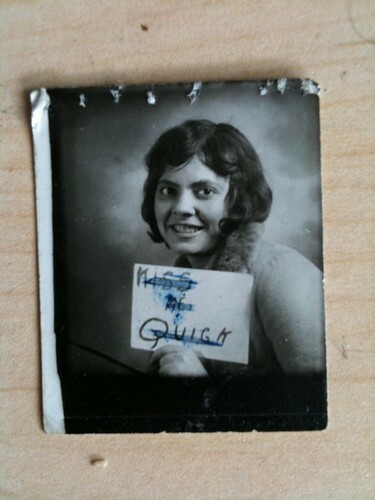 Here’s a rad little photo I found and now carry around in my wallet. It shows both humor and restraint common in the duality of young women maturing in the dawn of the suffrage movement.